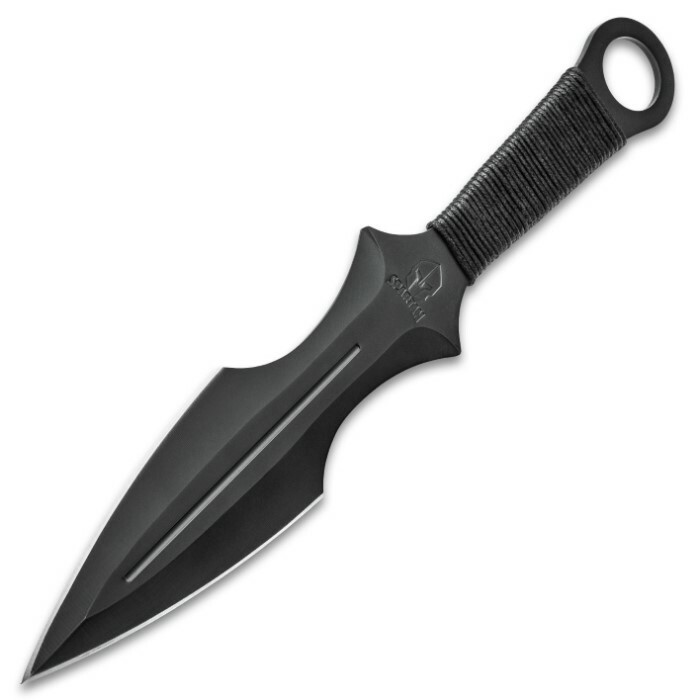 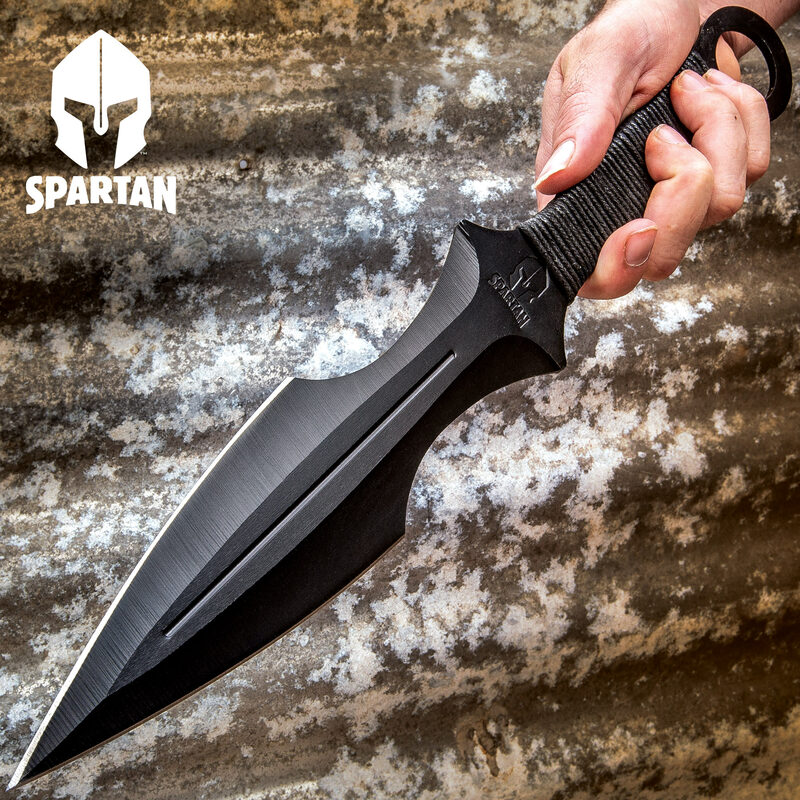 Our Super Spartan Throwing Dagger is quite the beast when it comes to throwing knives - just like the fearsome, ancient warriors it was inspired by. 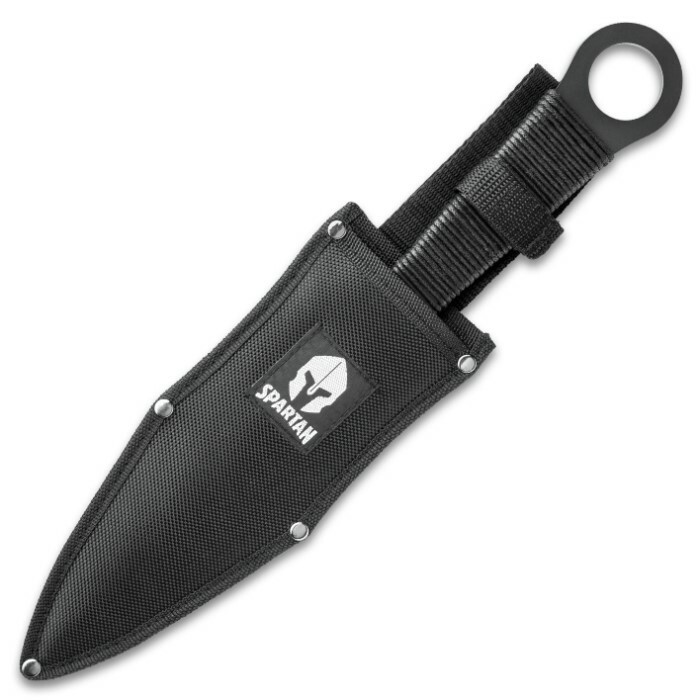 It has a solid, one-piece stainless steel construction with a black, non-reflective coating. 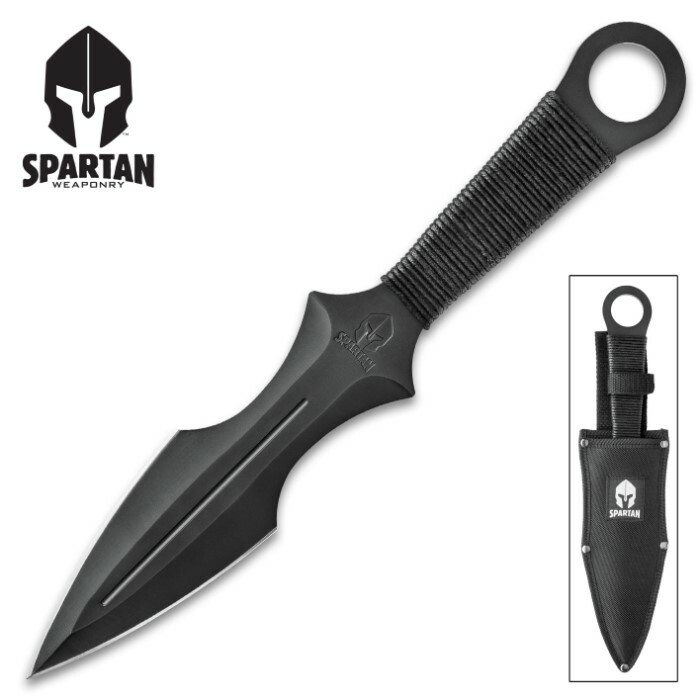 The massive, 8 1/2” razor-sharp blade has a blood groove and penetrating point and features an engraved Spartan logo, so that you know it’s legit. 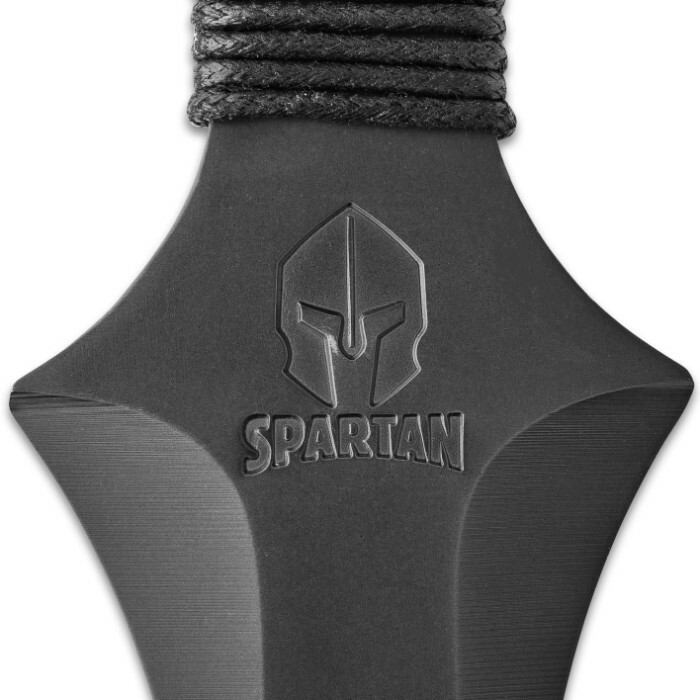 The handle is wrapped in black cord for a comfortable, slip-free grip and features an open-ring pommel. 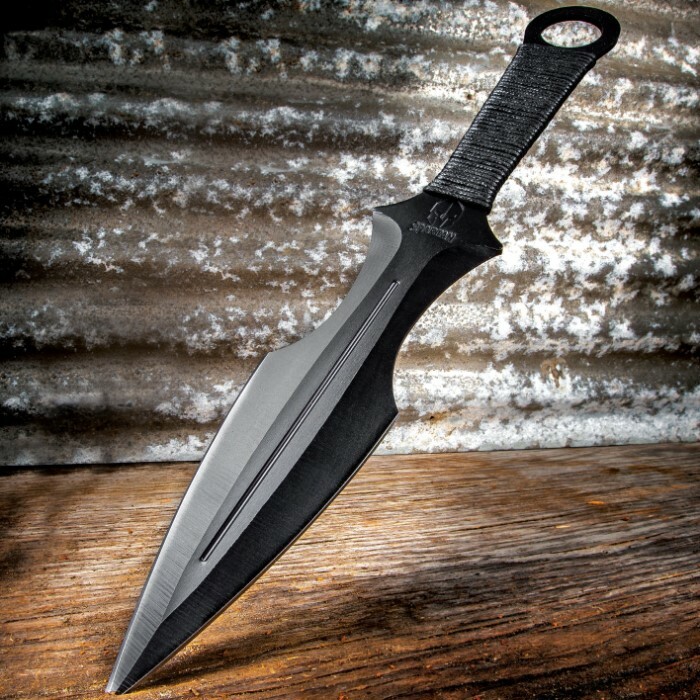 The throwing dagger is 14 3/4” in overall length and comes housed in a sturdy nylon belt sheath featuring the Spartan patch.